Nowadays, when we hear the words ‘Air Force One’, we immediately think of the presidential plane for the head of the United States or, for movie buffs, the movie of the same title with Harrison Ford as the leading actor. You aren’t wrong if that’s what you thought. But did you know that many years ago, the main and most important form of transport for the POTUS (President of the United States) was the train? Yes, the humble train. In the video below, you will see Ferdinand Magellan, which was later designated US Car Number 1 and was used as the President’s ride. Weighing a beastly 285,000 pounds, it was made to the limit of what the railroad system could accommodate at that time and was the heaviest American railcar ever built. 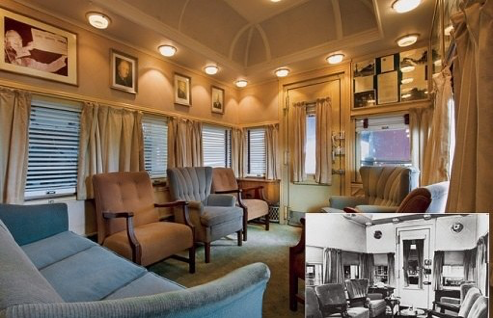 At its bare structure, it was essentially a Pullman observation car, but steel plates were added for security measures plus other safety precautions. There is a large section of the car that has bulletproof steel plating and three-inch thick glass. In addition, there are two escape hatches should the train be involved in a crash or come under attack: the first is a removable plate in the bathroom wall; and the second is a submarine-inspired rooftop hatch, for a situation in which the train car was knocked on its side. James Bond-ish escape features. 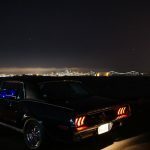 The Presidential Limousine and Secret Service Cadillacs were brought along in a special garage car. Two locomotives were often required to drag this ensemble up steeper track grades. 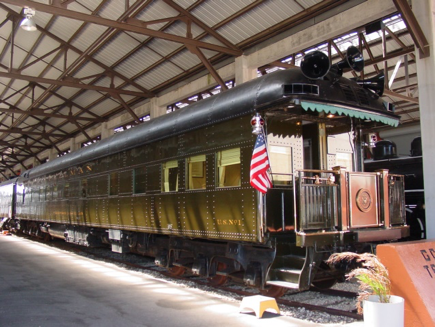 The railcar became the first passenger railcar built for a President since the War Department built a special car for Abraham Lincoln in 1865. 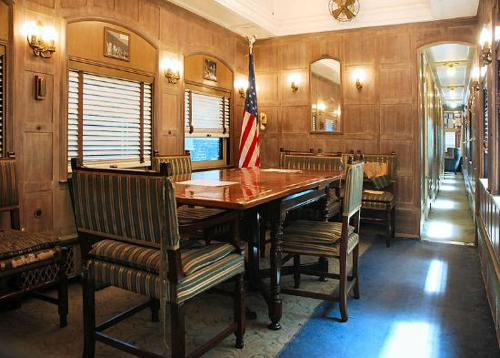 It was only used by three presidents from 1943 until 1958: Roosevelt, Truman and sparingly by Eisenhower. It now resides in the Gold Coast Railway Museum, Miami, Florida. The current Air Force One may be called the ‘flying Oval Office’—we say this was the ‘chugging White House’.